ANCHORAGE, Alaska (AP) — The suspect, hands and feet shackled, fidgeted in his chair, chuckling at times as he confessed to a brutal killing. Israel Keyes showed no remorse as he described in merciless detail how he'd abducted and strangled an 18-year-old woman, then demanded ransom, pretending she was alive. As the two prosecutors questioned him, they were struck by his demeanor: He seemed pumped up, as if he were reliving the crime. His body shook, they said, and he rubbed his muscular arms on the chair rests so vigorously his handcuffs scraped off the wood finish. The prosecutors had acceded to Keyes' requests: a cup of Americano coffee, a peanut butter Snickers and a cigar (for later). Then they showed him surveillance photos, looked him in the eye and declared: We know you kidnapped Samantha Koenig. We're going to convict you. They aimed to solve a disappearance, and they did. But they soon realized there was much more here: a kind of evil they'd never anticipated. Confessing to Koenig's killing, Keyes used a Google map to point to a spot on a lake where he'd disposed of her dismembered body and gone ice fishing at the same time. He wasn't done talking, though. He declared he'd been "two different people" for 14 years. He had stories to tell, stories he said he'd never shared. He made seemingly plural references and chilling remarks such as, "It takes a long time to strangle someone." 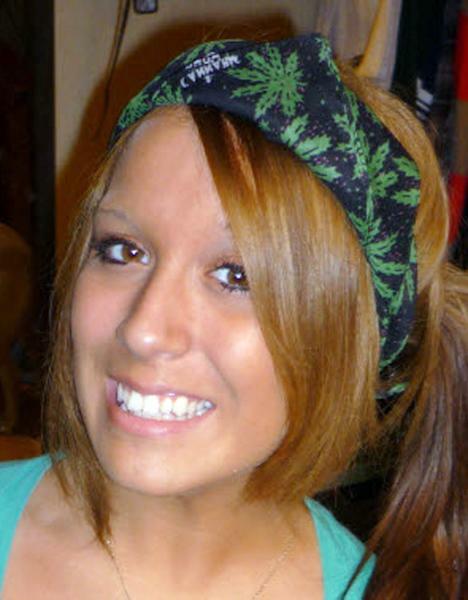 Israel Keyes wasn't talking just about Samantha Koenig. He'd killed before. In 40 hours of interviews over eight months, Keyes talked of many killings; authorities believe there were nearly a dozen. He traveled from Vermont to Alaska hunting for victims. He said he buried "murder kits" around the country so they would be readily accessible. These caches — containing guns, zip ties and other supplies used to dispose of bodies — were found in Alaska and New York. At the same time, incredibly, Keyes was an under-the-radar everyday citizen — a father, a live-in boyfriend, a respected handyman who had no trouble finding jobs in the community. Keyes claimed he killed four people in Washington state, dumped another body in New York and raped a teen in Oregon. He said he robbed banks to help finance his crimes; authorities corroborated two robberies in New York and Texas. He confessed to burning down a house in Texas, contentedly watching the flames from a distance. Though sometimes specific, he was often frustratingly vague. Only once — other than Koenig — did he identify by name his victims: a married couple in Vermont. 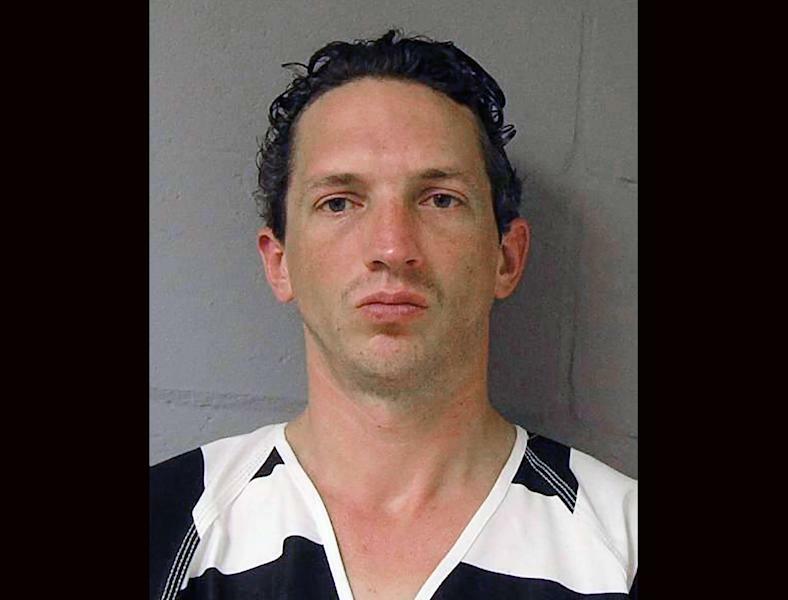 Israel Keyes wanted to be in control. Of his crimes. Of how much he revealed. And, ultimately, of his fate. In December, he slashed his left wrist and strangled himself with a sheet in his jail cell. He left two pages of bloodstained writings. And many questions. Investigators are now left searching for answers, but they face a daunting task: They're convinced the 34-year-old Keyes was a serial killer; they've verified many details he provided. But they have a puzzle that spans the U.S. and dips into Mexico and Canada — and the one person who held the missing pieces is dead. FBI agents on opposite ends of the country, joined by others, are working the case, hoping a timeline will offer clues to his grisly odyssey. But they know, too, that Israel Keyes' secrets are buried with him — and may never be unearthed. Authorities aren't certain when Keyes' crime spree began or ended. But they have a haunting image of his last known victim. Snippets of a surveillance video show the first terrifying moments of Koenig's abduction. Keyes is seen as a shadowy figure in ski mask and hood outside Common Grounds, a tiny Anchorage coffee shack then partially concealed from a busy six-lane highway by mountains of snow. It's Feb. 1, 2012, about 8 p.m., closing time. Koenig is shown handing Keyes a cup of coffee, then backing away with her hands up, as if it's a robbery. The lights go out and Keyes next appears as a fuzzy image climbing through the drive-thru window. Keyes forced Koenig to his Silverado; he'd already bound her hands with zip ties and gagged her. He hid her in a shed outside his house, turned on loud music so no one could hear if she screamed, then returned to the coffee shack to retrieve scraps of the restraints and get her phone. On Feb. 2, Keyes raped and strangled Koenig. He left her in that shed, flew to Houston and embarked on a cruise, returning about two weeks later. He then took a photo of Koenig's body holding a Feb. 13 newspaper to make it appear she was alive. Keyes wrote a ransom note on the back, demanding $30,000 be placed in her account. He texted a message, directing the family to a dog park where the note could be found. Her family deposited some money from a reward fund. On Feb. 29, Keyes withdrew $500 in ransom money from an Anchorage ATM, using a debit card stolen from Koenig's boyfriend (the two shared an account). The next day, $500 more was retrieved from another ATM. Then on March 7, far away in Willcox, Ariz., Keyes withdrew $400. He traveled to Lordsburg, N.M., and took out $80. Two days later, a withdrawal of $480 in Humble, Texas. On March 11, the same amount from an ATM in Shepherd, Texas. By then, authorities had a blurry ATM photo and a pattern: Keyes was driving along route I-10 in a rented white Ford Focus. On March 13, nearly 3,200 miles from Anchorage, police in Lufkin, Texas, pounced when they spotted Keyes driving 3 mph above the speed limit. Inside his car was an incriminating stash: Rolls of cash in rubber bands. A piece of a gray T-shirt cut out to make a face mask. A highlighted map with routes through California, Arizona and New Mexico. The stolen debit card. And Samantha Koenig's phone. 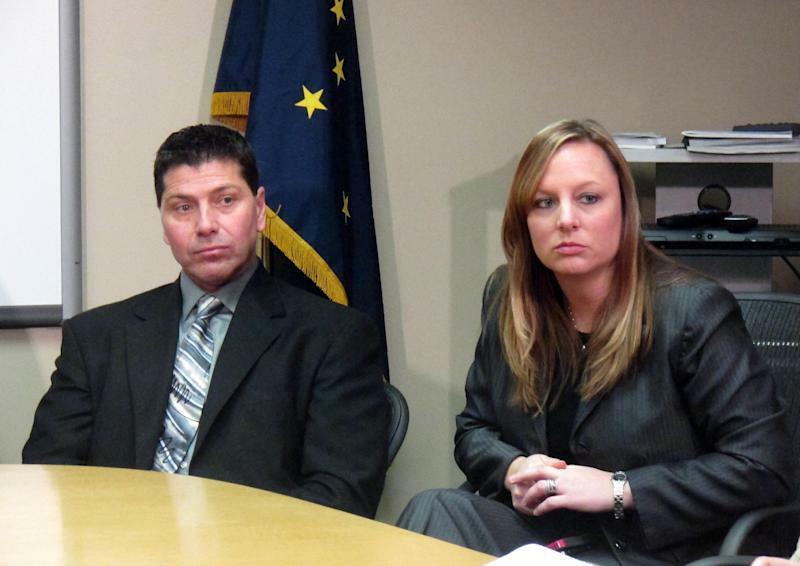 Monique Doll, the lead Anchorage police investigator in the Koenig case, and her partner, Jeff Bell, rushed to Texas for a crack at Keyes. Doll showed Keyes the ransom note. "I told him that the first couple of times that I read the ransom I thought that whoever wrote the note was a monster and the more I read it —it must have been 100 times — the more I came to understand that monsters aren't born but are created and that this person had a story to tell." Keyes' response, she says, was firm: "I can't help you." Two weeks later in custody back in Alaska, he changed his mind. He told another investigator, Doll says, to relay a message: "Tell her she's got her monster." To Monique Doll, Keyes was a Dr. Jekyll-Mr. Hyde personality, but she saw only the diabolical side. "We knew him as a serial killer," she says. "That's how he spoke to us. We didn't know ... the father, the hard-working business owner." Keyes warned investigators that others might mischaracterize him. "There is no one who knows me — or who has ever known me — who knows anything about me really. ... They're going to tell you something that does not line up with anything I tell you because I'm two different people basically...," he says in one snippet released by the FBI. "How long have you been two different people?" asks Russo, one of the prosecutors. Keyes laughs. "(A) long time. Fourteen years." Authorities suspect Keyes started killing more than 10 years ago after completing a three-year stint in the Army at what is now Joint Base Lewis-McChord near Tacoma, Wash.
Sean McGuire, who shared a barracks with Keyes, says they developed a camaraderie while spending some time together during grueling training in Egypt. But he says he was disturbed by a dark side that sometimes surfaced. When Keyes was offended by his buddy's comments, he'd drop his head, McGuire recalls, knit his brow, lower his voice and say, "'I want to kill you, McGuire.'" Keyes, the second eldest in a large family, was homeschooled in a cabin without electricity near Colville, Wash., in a mountainous, sparsely populated area. The family moved in the 1990s to Smyrna, Maine, where they were involved in the maple syrup business, according to a neighbor who remembered Keyes as a nice, courteous young man. After leaving the Army, Keyes worked for the Makah Indian tribe in Washington, then moved to Anchorage in 2007 after his girlfriend found work here. A self-employed carpenter and handyman, he was considered competent, honest and efficient. "I never got any bad, weird, scary, odd vibe from him in any way, shape or form," says Paul Adelman, an Anchorage attorney who first hired Keyes as a handyman in 2008. Keyes blended in easily. "He was not only very intelligent," Doll says. "He was very adaptable and he had a lot of self-control. Those three things combined made him extraordinarily difficult to catch." Keyes also was meticulous and methodical, flying to airports in the Lower 48, renting cars, driving hundreds of miles searching for victims, prowling remote spots such as parks, campgrounds and cemeteries. The Koenig case was an exception; it was in his community. "Back when I was smart, I would let them come to me," he said, adding that he would go to isolated areas far from home. "There's not much to choose from ... but there's also no witnesses." Keyes was proud he'd gone undetected so long. When asked for a motive, Anchorage police officer Bell recalls, Keyes said, "'A lot of people ask why and I would be like: Why not?'" "He liked what he was doing," says FBI Special Agent Jolene Goeden. "He talked about getting a rush out of it, the adrenaline, the excitement." Goeden says Keyes provided information for eight victims, some more specific than others. He also alluded to other victims, and said he killed fewer than 12 people altogether. In one case, he claimed a body was recovered and the death ruled accidental; he wouldn't say more. Investigators say they independently verified almost everything he told them. "It would have been impossible to make some of these details up," prosecutor Feldis says. They tried to get Keyes to identify more victims. But he balked at even providing their gender. Shortly after Keyes confessed to Koenig's murder, the prosecutors told him they knew he'd killed others and said his computers were being searched. Keyes knew he'd stored information in them about two victims. It was time to clear up a mystery in a small town 3,000 miles away. It was about 8 p.m. on April 6, 2012, and police Lt. George Murtie was home in Essex, Vt., when a local FBI agent called. Nearly 10 months had passed since Bill and Lorraine Currier, a couple in their 50s, had disappeared. They were presumed dead. Leads were still trickling in, but Murtie was surprised to hear authorities in Alaska had a man in custody who'd confessed to killing the couple and disposing of their bodies in an abandoned farmhouse. An Essex officer for 28 years, Murtie knew every inch of his community, including the location of that farmhouse. He headed out there that night with another detective, only to discover it had been demolished. They checked some nearby buildings but found nothing. Several weeks later, when Murtie questioned Keyes by phone, he found him matter-of-fact when discussing how he'd killed the Curriers. "I would describe it as if I was talking to a contractor about the work I was going to have done and he was describing the work he had done in the past," Murtie recalls. "There was no emotion or anything. Just flat." On June 2, 2011, Keyes flew into Chicago, intending to kidnap and kill. He carried a gun and silencer. He drove more than 750 miles to Essex, a bedroom community just outside Burlington. He checked into a motel he'd stayed at in 2009 — he buried weapons and supplies in the area at that time — and began scouting a house that suited his purposes: No children or dogs. No car in the driveway. A place he could be reasonably sure of where the bedroom was located. In the early moments of June 9, Keyes cut the phone lines and removed a window fan to enter the garage. Grabbing a crowbar, he smashed a window into the house and, wearing a headlamp to navigate the darkness, rushed into the Curriers' bedroom. He forced them into their Saturn and bound them with zip ties. They drove a few miles to the farmhouse where Keyes tied Bill Currier to a stool. Going back to the car, he saw Lorraine Currier had broken her restraints and was running toward the road: Keyes chased and tackled her, forcing her back to the building. Bill Currier had somehow broken the stool and was shouting, "Where's my wife?" Keyes hit him with a shovel, then shot him. He sexually assaulted and strangled Lorraine Currier and put both bodies in garbage bags. He then drove into New York state, and dumped the Curriers' stolen gun and parts of the weapon he'd used into a reservoir in Parishville, N.Y. FBI dive teams recovered both. Authorities were unable to find the Curriers' bodies. Murtie was struck by Keyes' confidence. "There was an enormous risk he had to take to go into a neighborhood he's unfamiliar with, into a house of people he's unfamiliar with and remove them in their own vehicle," he says. "A rational-thinking person would think the chances of getting caught are very high." During the interviews, Keyes sometimes clammed up and threatened to stop talking if publicly identified as a suspect in the Curriers' murders. Vermont authorities held off as Alaska investigators pressed for more information. "Why don't you give us another name?" asked Russo, a federal prosecutor. Keyes was conflicted — he wanted his story out there, but worried about the impact it would have on friends and family (he has a daughter believed to be 10 or 11), says Goeden, the FBI agent. He rebuffed all appeals to bring peace to others. "Think about your loved ones," Doll urged. "Wouldn't you want to know if they're never coming home?" He mulled it over and returned another day with his answer. "I'd rather think my loved one was on a beach somewhere,' he said, "other than being horribly murdered." Israel Keyes never provided another name. He was found dead Dec. 2, three months before his scheduled trial in the Koenig case. The FBI is analyzing his two bloodstained pages, with writing on both sides, but they apparently don't contain victims' names. His suicide leaves investigators and Koenig's family disappointed, angry and frustrated. "We deserved our day in court and we didn't get it," says James Koenig, Samantha's father. Months before Keyes' past was disclosed, Koenig believed his daughter was not his only victim. He and volunteers set up a Facebook page called, "Have You Ever met Israel Keyes? Possible Serial Killer." It includes photos of Keyes and maps. Meanwhile, investigators have used Keyes' financial and travel records to piece together a timeline of his whereabouts from Oct. 4, 2004, to March 13, 2012. He traveled throughout the United States and made short trips into Canada and Mexico. The FBI is seeking the public's help. On Jan. 16, a Dallas bureau press release stated Keyes was "believed to have committed multiple kidnappings and murders" across the country starting in 2001. It's looking for anyone who had contact with him on Feb. 12-16, 2012, when he was believed to be in various Texas cities. More appeals are expected in other places. FBI agents in Seattle and in Albany, N.Y., also are working with state and local authorities to try to verify tips from people who reported seeing Keyes. Unsolved homicides are being checked, too, to determine if Keyes was in the area at the time. But definitive evidence? That'll be hard to come by. Feldis, the prosecutor who heard Keyes' first confession, says it's likely the true scope of his crimes will never be known. "There's a lot more out there that only Israel Keyes knows," he says, "and he took that to his grave." AP National Writer Sharon Cohen reported from Chicago. Also contributing to this report were AP reporters Mark Thiessen in Anchorage, Alaska, Nicholas K. Geranios in Colville, Wash., and Wilson Ring in Montpelier, Vt.